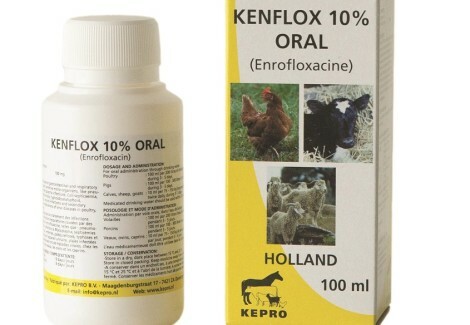 Enrofloxacin belongs to the group of quinolones, and has a bacteriocidal activity against Gram-negative and Gram-positive bacteria, including anaerobic pathogen populations. Most important micro-organisms are: E. coli, Mycoplasma spp., Salmonella spp., Staphylococcus spp., Pasteurella spp., Streptococcus spp., Klebsiella spp., Pseudomonas spp. and Campylobacter. 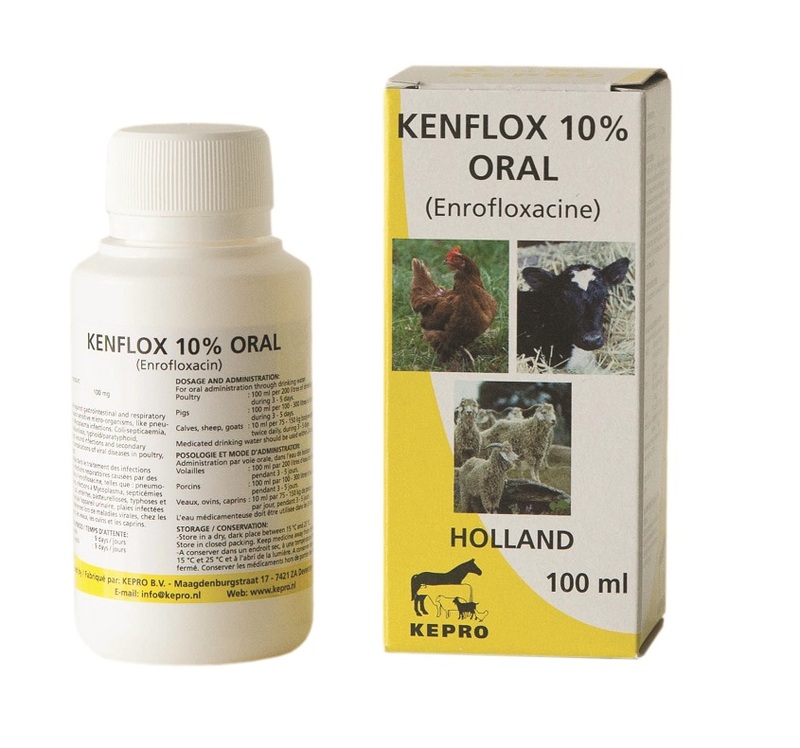 Gastro-intestinal and respiratory infections caused by Enrofloxacin sensitive micro-organisms, like, Pneumonia/Broncho-pneumonia, Mycoplasma infections, Coli-septicaemia/Coli-diarrhoea, Enteritis, Pasteurellosis, Typhoid/Para-typhoid, infections of the urinary-tract, wound-infections and secondary bacterial infections such as complications of viral diseases in poultry, pigs, calves, sheep and goats. Do not administer in combination with Chloramphenicol, Microlides, Tetracyclines and Lincosamides. Do not administer in case of Enrofloxacin resistance. For oral administration through drinkingwater. Poultry : 100 ml. per 200 litres of drinking water, during 3-5 consecutive days. Calves, sheep, goats : 10 ml. twice daily per 75 – 150 kg. bodyweight, during 3-5 consecutive days. Medicated water should be used within 24 hours. 100 ml. PE-Pharma bottle. Bottles packed in single boxes (144 bottles per carton box).